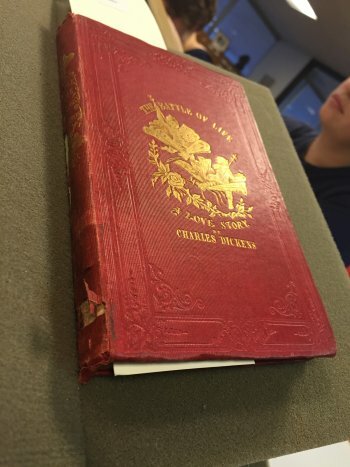 Charles Dickens (1812-1870) is regarded as the father of the Christmas Book genre. His most famous work, A Christmas Carol, was published in 1843 to immense popular acclaim. 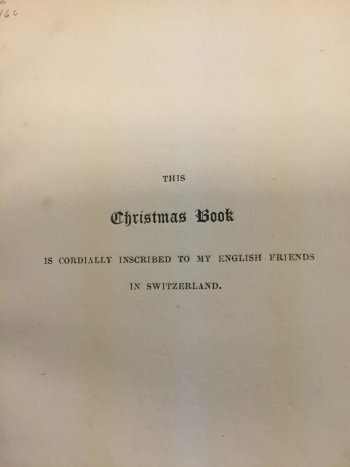 In the following years, he would be asked to write more novels for and about Christmas; The Battle of Life, published in 1846, is the fourth of his five Christmas-related fictions. Dickens would find it challenging to recreate the success of A Christmas Carol without repeating himself in regard to theme and subject matter. As a result, The Battle of Life is a book demonstrably for Christmas rather than about it. The action of the novel centers around an impending marriage. 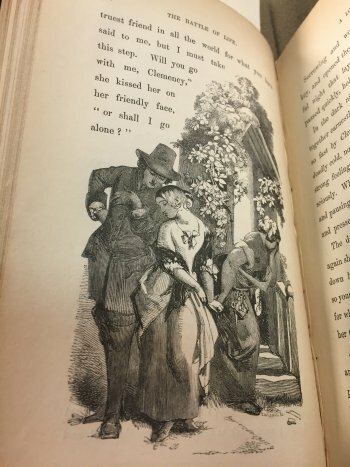 The bride is thought to have eloped, when really she has fled so that her fiancé might instead fall for her sister, who has long been enamored of him. Dickens had discovered that the plot need not even center around the carnival of the holiday; rather, the sentiment only need reflect the core values of the celebration. 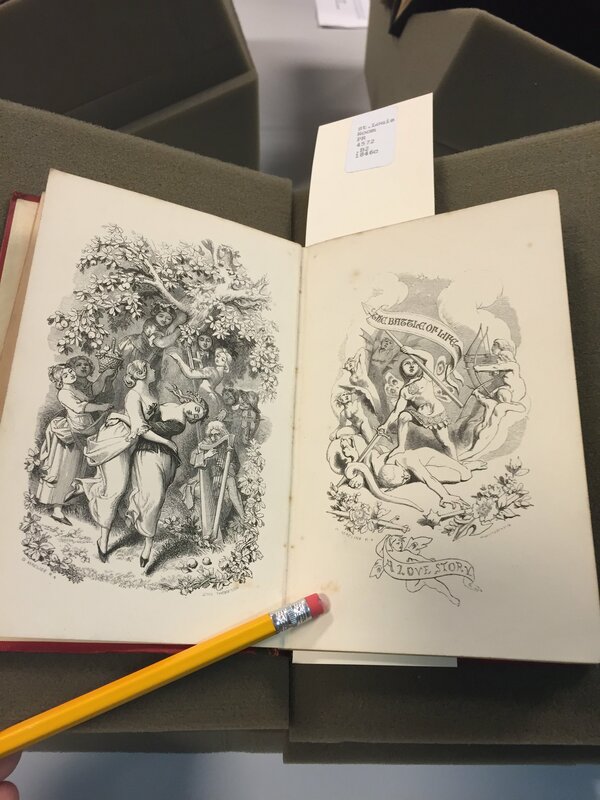 He used this new genre as a mouthpiece for Victorian domestic values, and as a vehicle for his own advancement in the hearts (and pocketbooks) of the English.